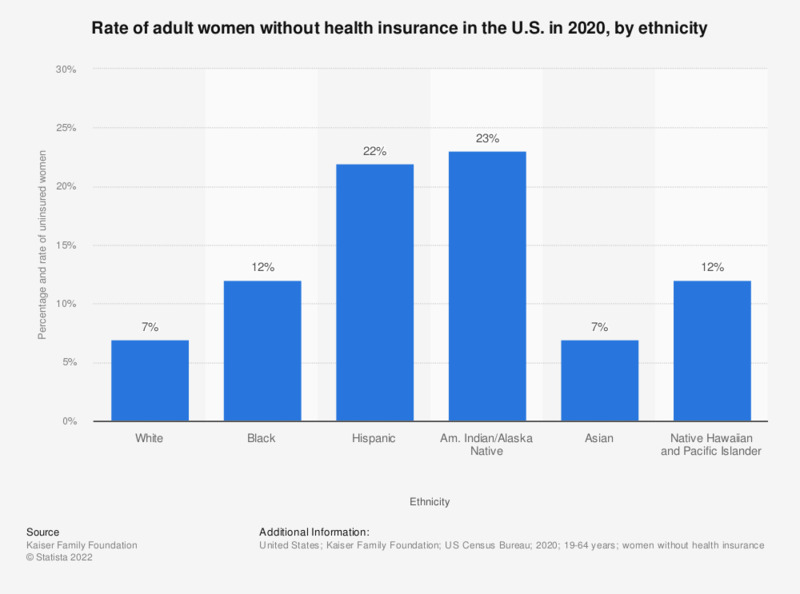 This statistic shows the percentage and rate of adult women without health insurance in the U.S. in 2017, by race/ethnicity. In that year, 14.4 percent of all uninsured women identified as black, non-Hispanic. Comparatively, the rate of uninsured among black women was 11.9 percent at that time.